Preserving pixels is as easy as converting to a Smart Object. Adobe Photoshop is one of those tools that has reached such a universal level that people use the tool name to describe the work. When someone comments on an image that was altered, most times they will say 'that image was photoshopped'. I've been using Adobe Photoshop for a while and it seems that Adobe is continually adding features that enable a designer to create while maintaining the original pixels of a layer. In the past, if you wanted to reduce a layer, doing so would generate a new image at the reduced size. If you wanted to enlarge the layer back to its original size, it meant you were now enlarging the pixels of the smaller layer. With conservation of the original pixels in mind, this week we'll discuss strategies for preserving pixels. Keep in mind, that if you're trying to minimize your file size, this has the opposite effect. It's a trade-off, either you maintain all of your pixels or you keep your file size down. 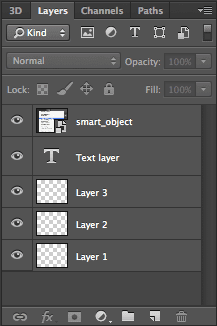 As I mentioned in Photoshop Panoramas Revisited, whenever I can, I will convert a layer to a Smart Object. 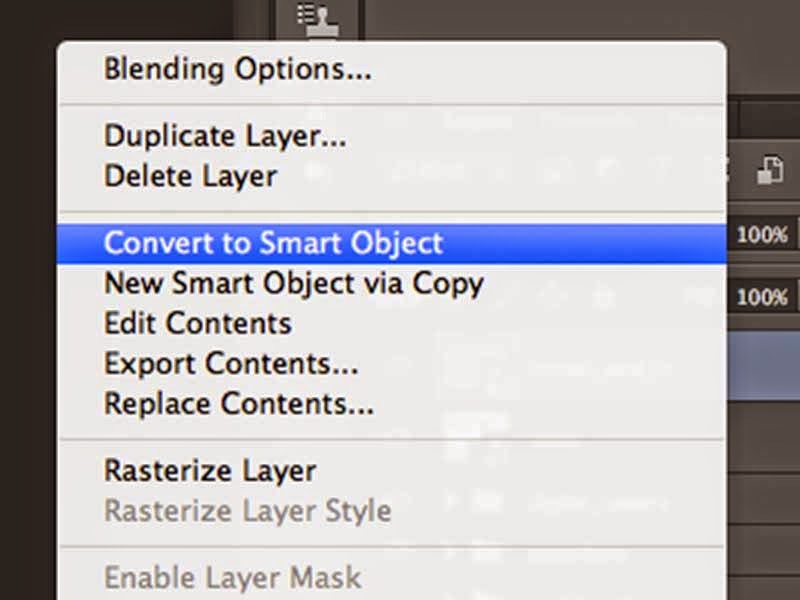 For those of you more familiar with Adobe After Effects, converting a layer to a Smart Object is a lot like using Pre-compose on a layer in an After Effects composition. Once a layer is converted to a Smart Object, it can be scaled and rotated without actually affecting its original pixel layout. The Smart Object can be cloned and used in multiple areas of the design. If you decide later that object needs to be changed throughout, you edit it once and all instances reflect those changes. Again, just like Pre-comps in After Effects. Another cool thing about Smart Objects is when you perform a Free Transform on them, the numeric data for the transform is the offset from the original. Meaning if you scale your Smart Object down 50%, apply that transformation and then do another Free Transform, its numbers will show that it is 50% of its original size. This is not the case with a pixel-based layer. Whenever I need to bring a logo or another image into a design, I always use the Place command. This preserves the size (and therefore all of the pixels) of the original object, by bringing it in as a Smart Object. In Creative Cloud versions you have the choice to link-to or embed, both options have their advantages. If collaborating, I will generally embed. This ensures that everything needed is contained within a single file. Using the Crop Tool that became available in CS5 or CS6 gives you the option to Delete Cropped Pixels. Unless I am cropping to reduce the size of my file, I always keep this unchecked. Keeping it unchecked means I can go back later and crop back out - adding in pixels that were previously out of frame. Instead of cutting and removing pieces of a layer, I will generally use a Mask to select the area I want. Using a Mask gives me the flexibility to add back in portions of the original layer at a later time. Although it's a trade-off with file size, maintaining all of my original pixels allows me much more flexibility and ease in the creative process. In addition, it makes collaboration smoother because the file contains all that is needed to make changes.